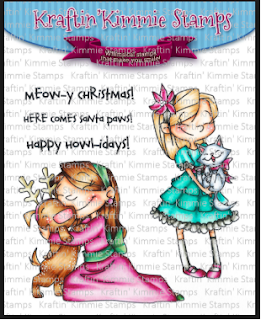 Today I would like to share a card I made using the "Santa paws" stamp set from Kraftin' Kimmie Stamps. 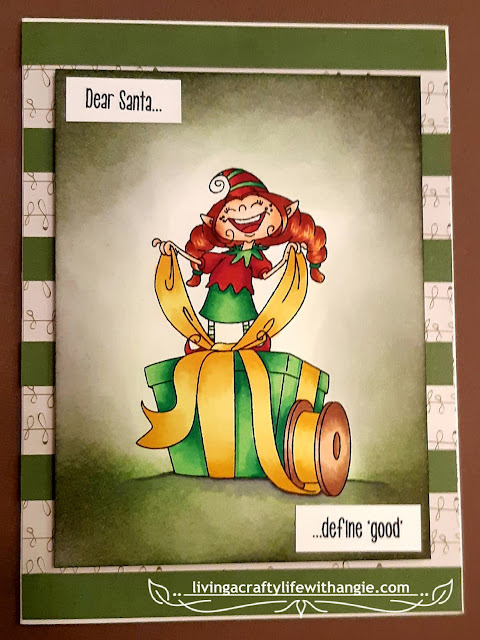 This stamp had been meant for a Christmas card or scrapbooking layout however I had chosen a yellow and black theme rather so I could use this card as a birthday or "just to say hi" card. 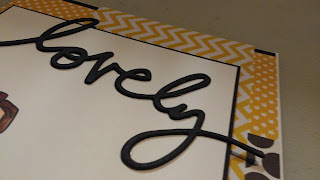 For the "Lovely" I used a die from Heidi Swapp. To create the thick chipboard look and feel I die cut black coverstock 5 times and used adhesive to layer the cuts. 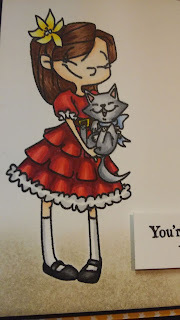 To color the stamped image I used my trusty Copic markers and finished off with Tim Holtz distress ink to create a floor. Nice... I didn't know Heidi had die cuts...I must get them!! !